We adore Love Love's beautiful versatile wear. 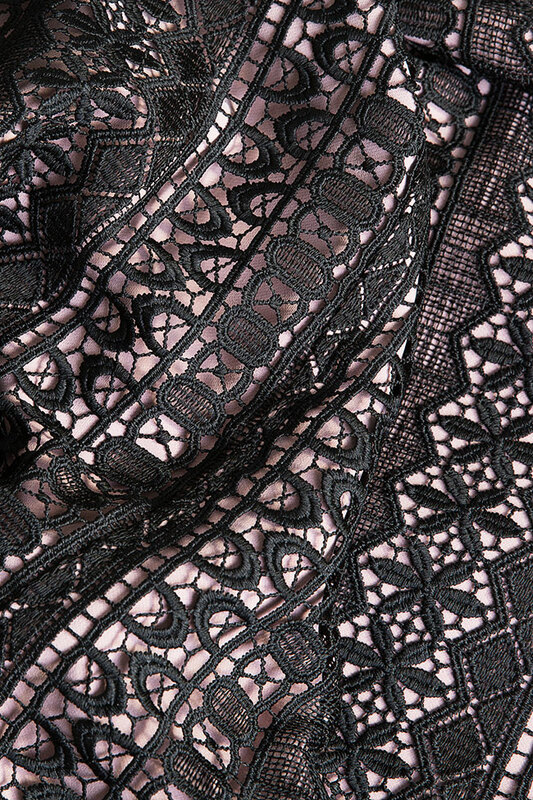 This delicate black guipure lace dress is lined in pink crepe to highlight the array of intricate motifs and left sheer along the hem and neckline for a hint of skin. We like it styled with black suede sandals.